...taking a break in the col for a perfectly observed silence at 11am and a quick snack stop, before heading up to the summit of the Corbett, Beinn a’Bhuiridh. We then descended steeply to the Lairig Torran, where we had a lunch stop, before heading over Stob Garbh to the highpoint of the day Stob Diamh at a leisurely pace. The descent took us over Sron an Isean and down it’s South-East ridge. 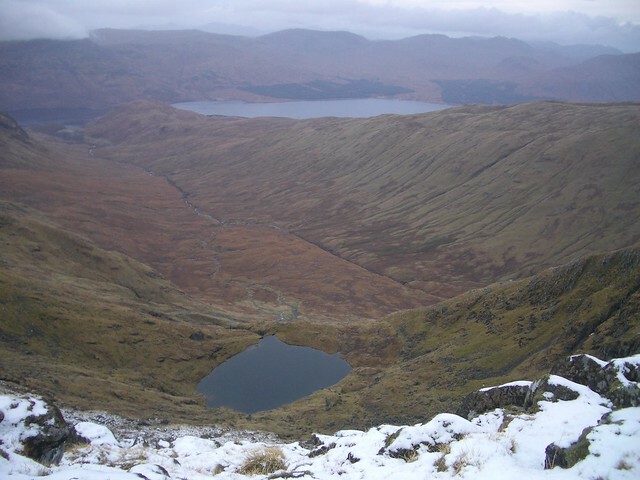 There was snow from about 800m with significant accumulations on higher E/SE aspects. 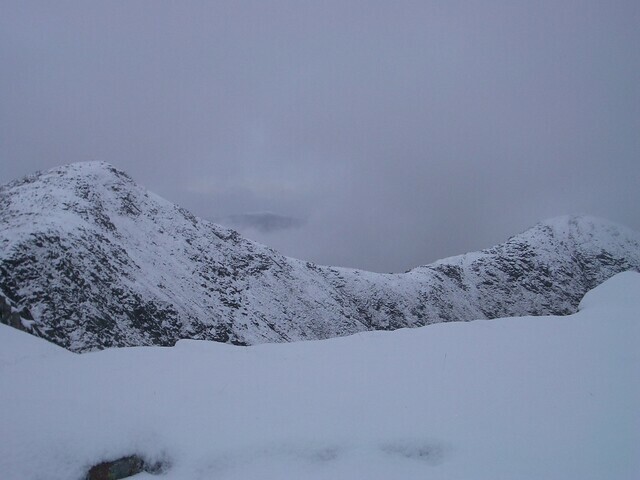 No new snow during the day and cloud mostly well above the summits. 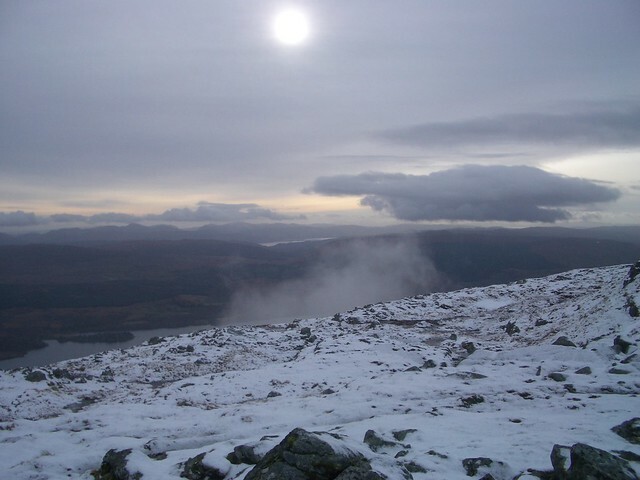 Freezing above about 750m and a light NW/W wind. The ground was firm above about 850m and ice was forming at higher levels. 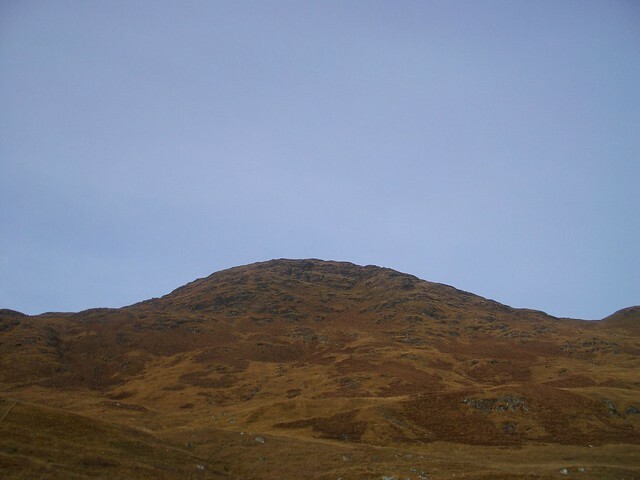 On the drive up Ben Lawers and Ben Lui looked to be holding plenty of snow high up. NB. 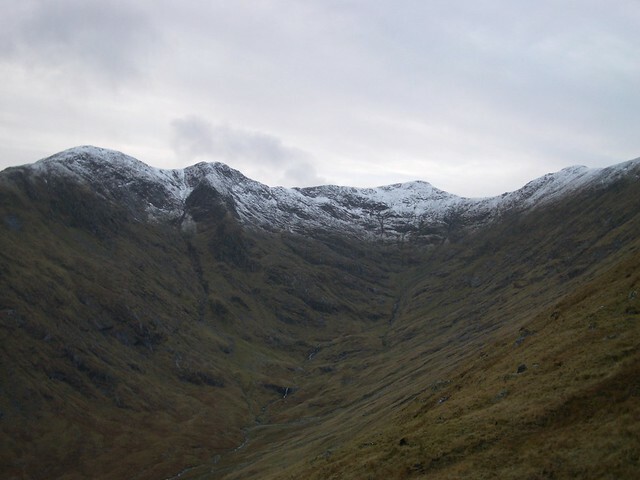 There are new vehicle tracks up Coire Glas and Coire Chreachainn and that the footbridge shown in Coire Chreachainn on the 1:25,000 map is now no longer servicable. 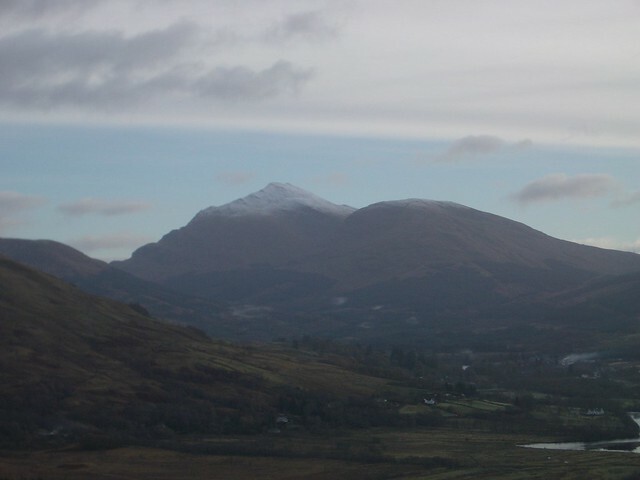 An excellent day out in good conditions, a gentle introduction to Winter, with good views to Ben Lui, Arran, Mull and the Etive and Glen Coe hills. Last edited by BoyVertiginous on Thu Jan 08, 2015 5:56 pm, edited 1 time in total. Thanks for this report! It's always good to see pictures of this range. Thanks, Rudolph. First time on this range and I agree, it's beautiful and hope to return in the not too distant future to do a few more. 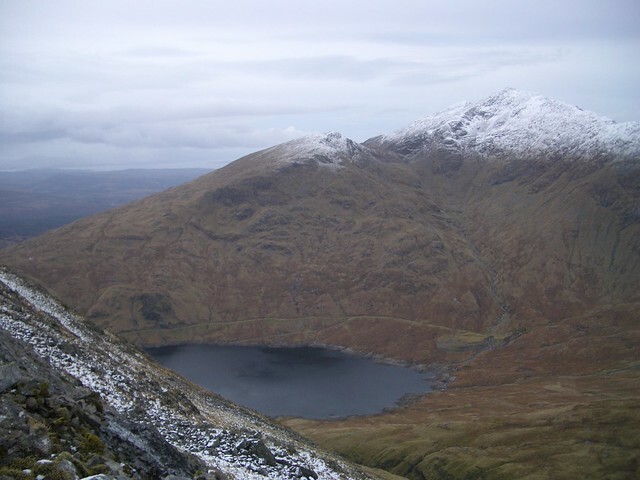 PeteR, when I was up there I was remembering that your video-TR in the snow, wasn't that the Cruachan horseshoe?, last winter maybe? Last edited by BoyVertiginous on Thu Nov 22, 2012 12:07 am, edited 1 time in total. Thanks, Rockhopper. 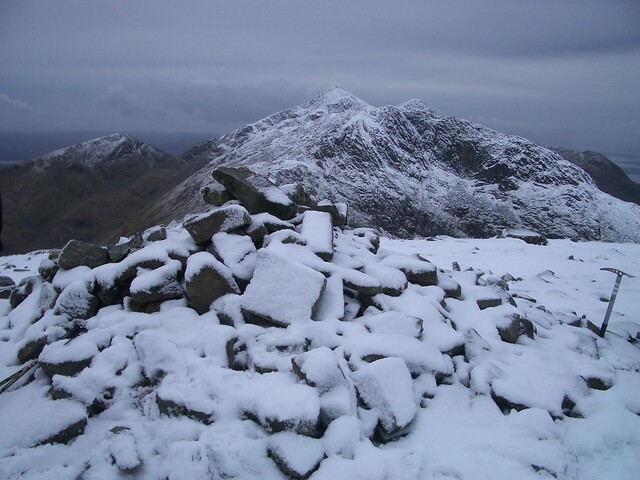 Not one of your epics but an uncomplicated route, in good, clear weather and a variety of underfoot conditions. 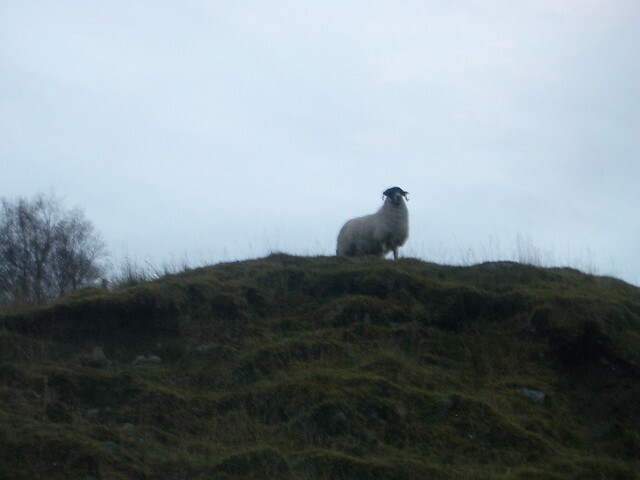 Taken at a leisurely pace which really allows you to soak up the surroundings, plenty to catch the eye up there on a clear day. Cheers tb73, my wee ageing pentax optio s4i didn't really do it justice. There's a boat breaking the flat calm of Loch Etive (where it meets Glen Noe) and had a better camera in the bottom of my rucksack but was too lazy to dig it out.